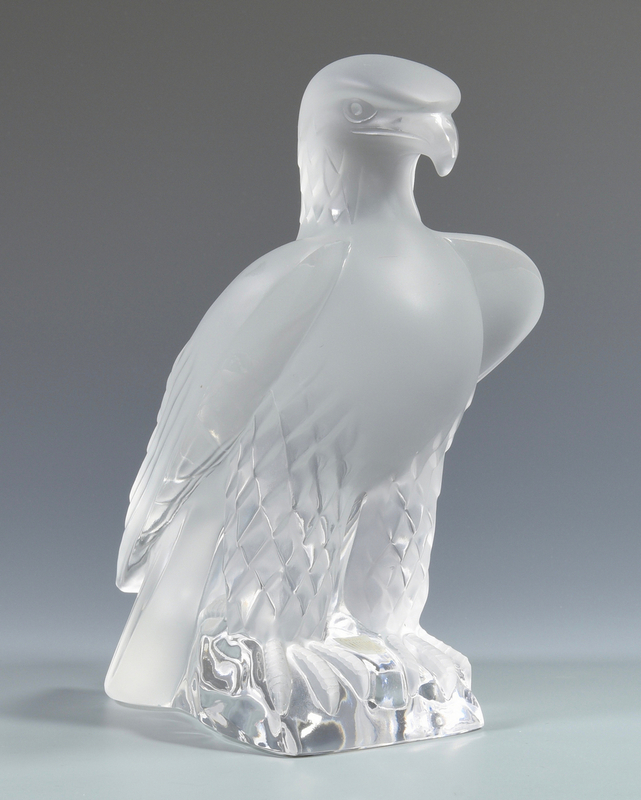 1st item: Lalique glass eagle sculpture. 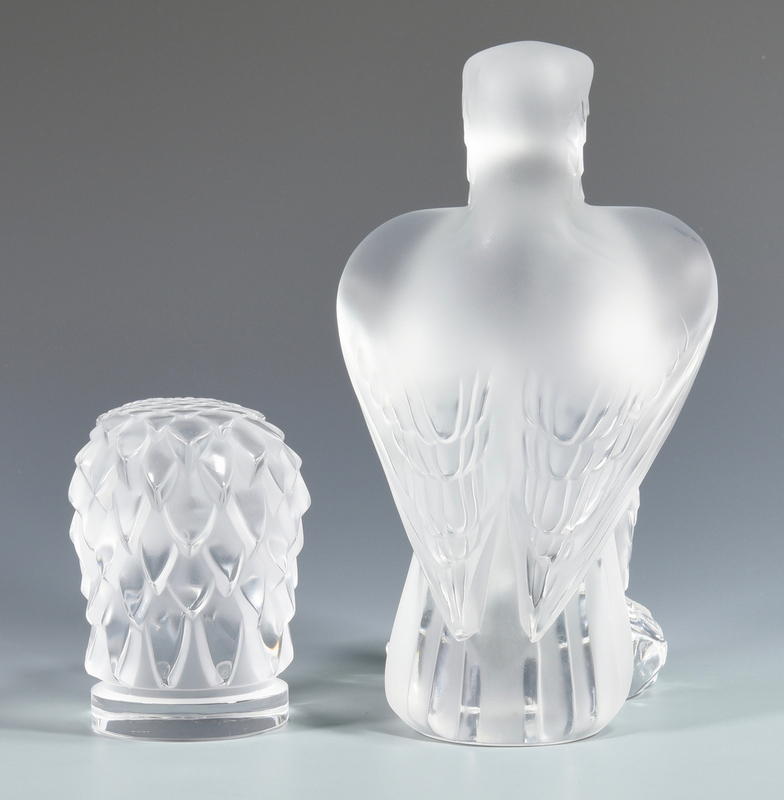 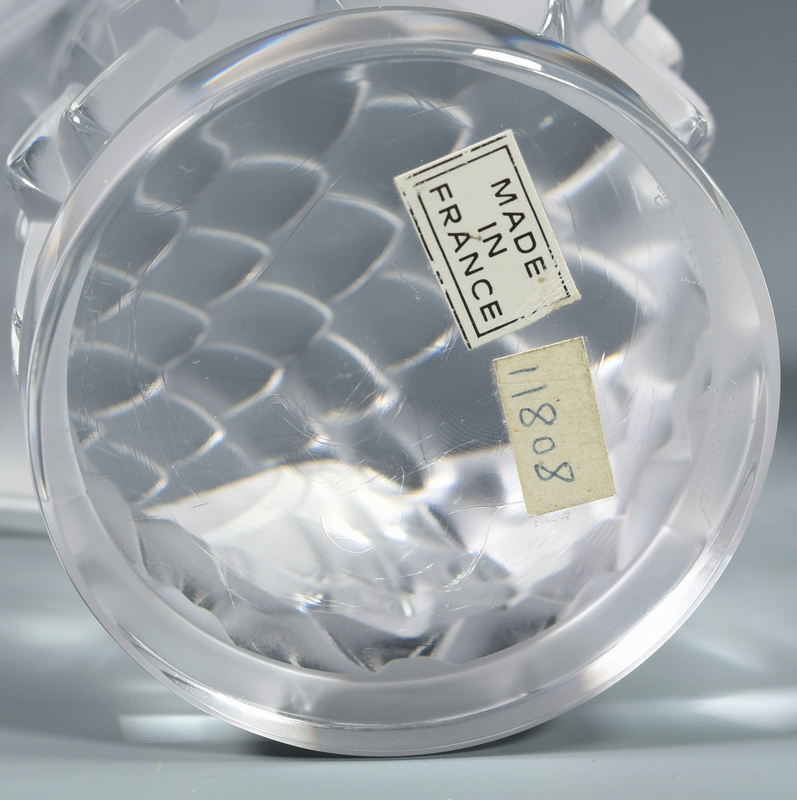 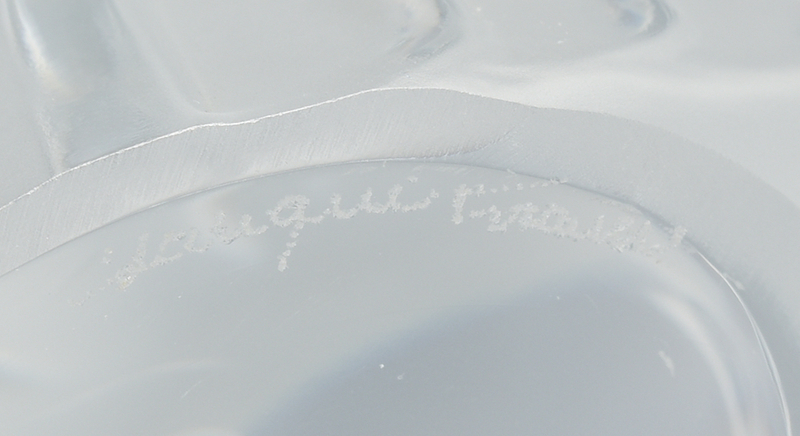 Retains the original Lalique label and the base inscribed "Lalique, France" on the base. 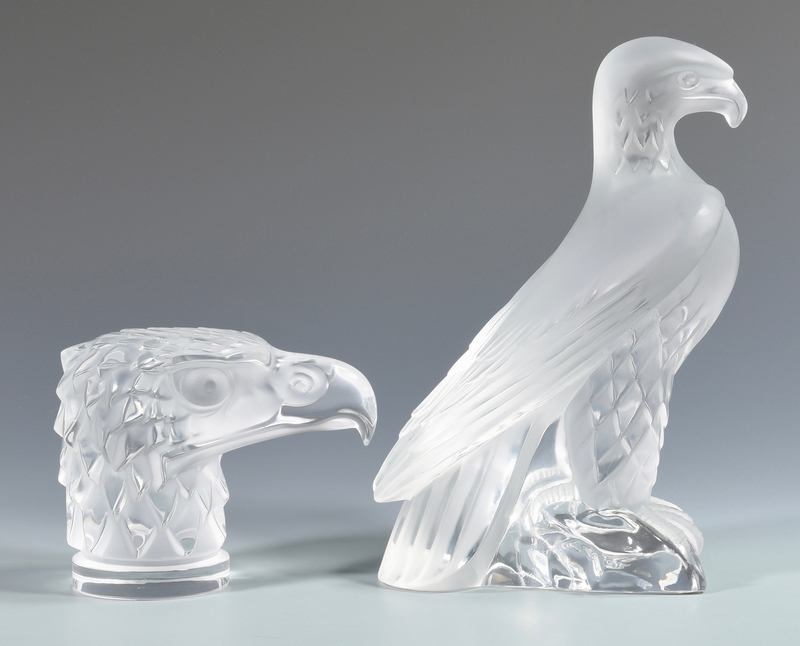 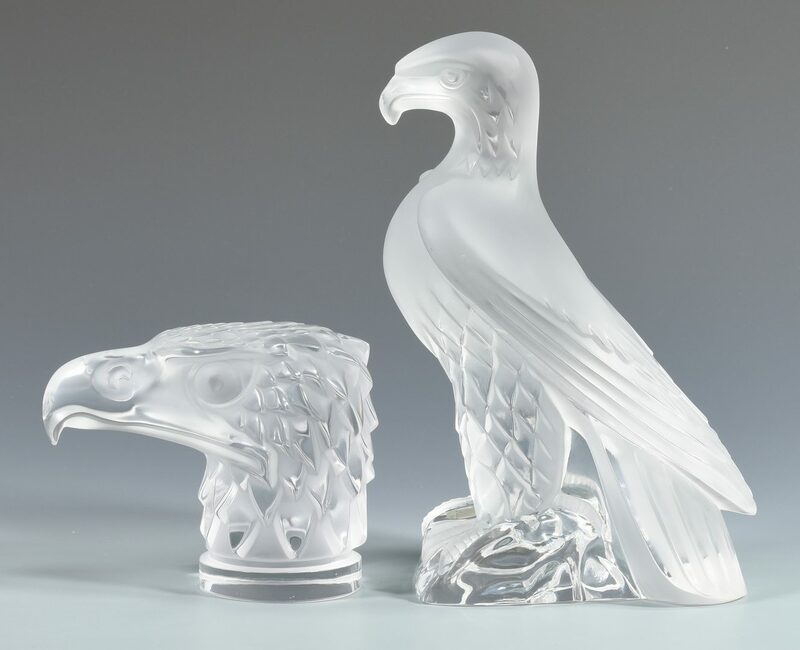 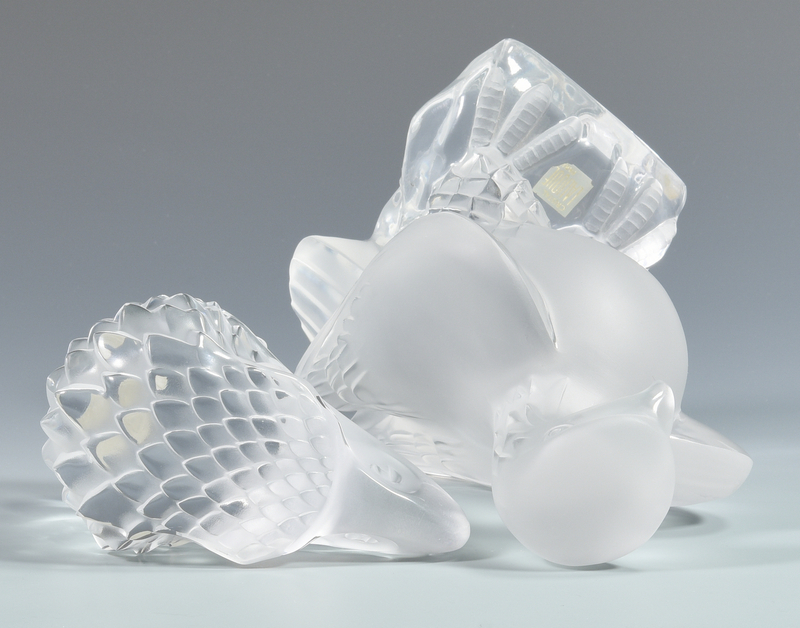 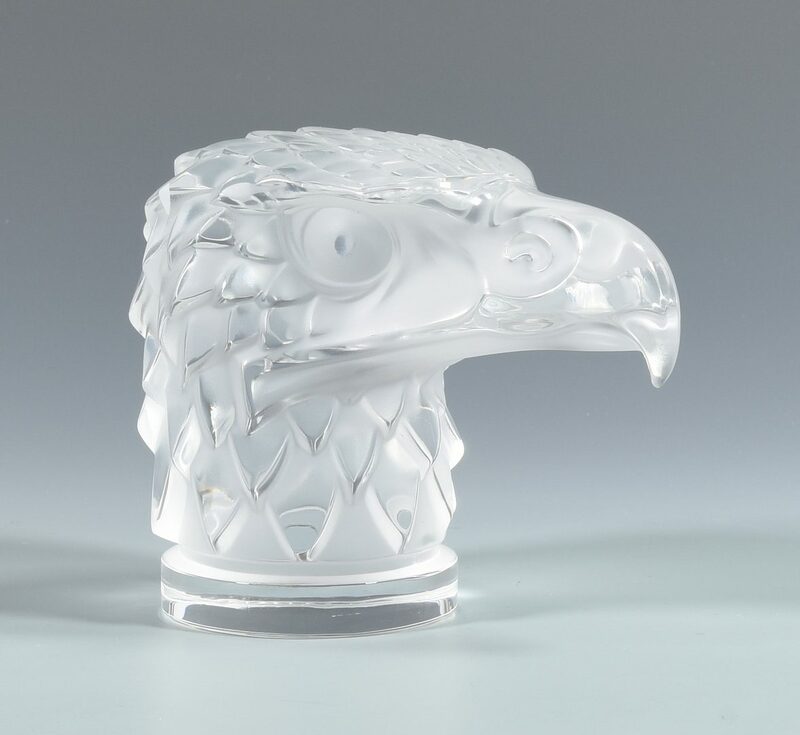 9" H x 5 1/2" D X 4" W. 2nd item: Lalique glass eagle head or paperweight, inscribed on the base "Lalique, France". Retains the original paper label. 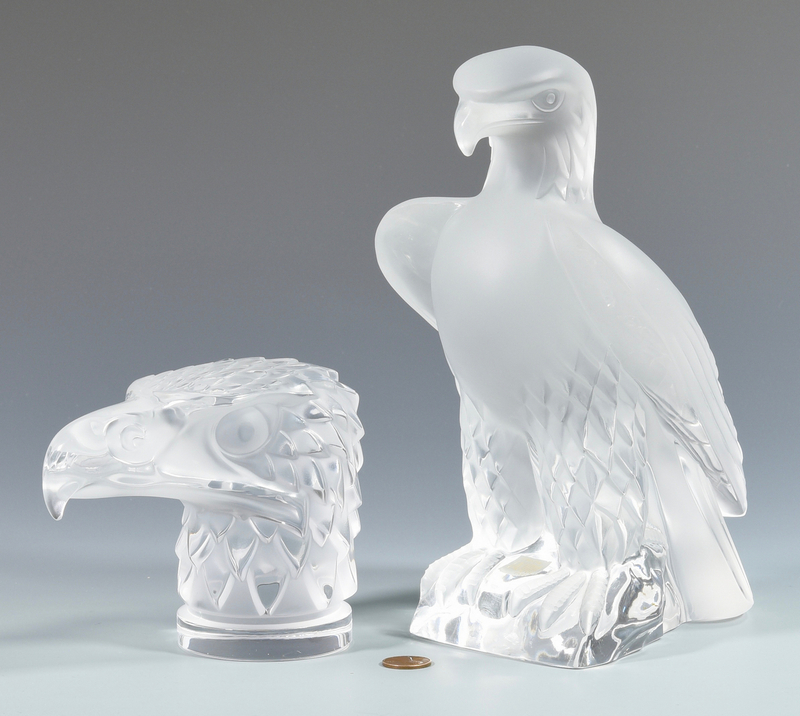 4 3/8" H x 5 1/2" D. Both items 20th century. 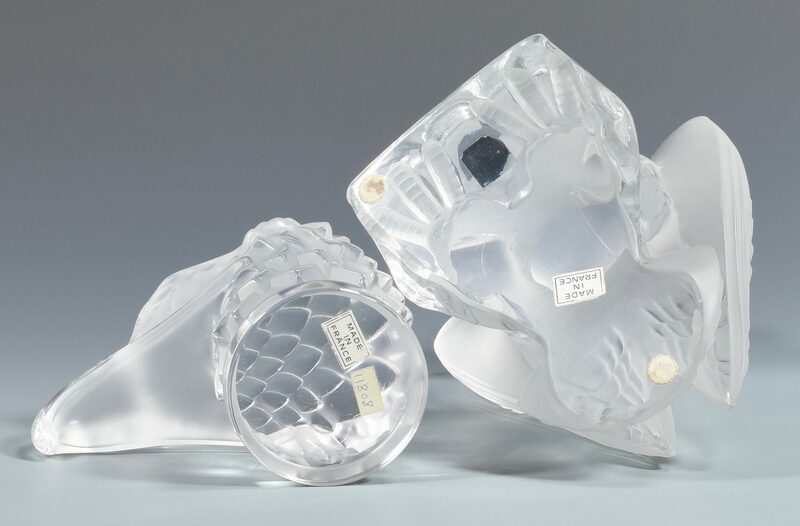 Estate of Jane McKinnon, Lenoir City, TN. 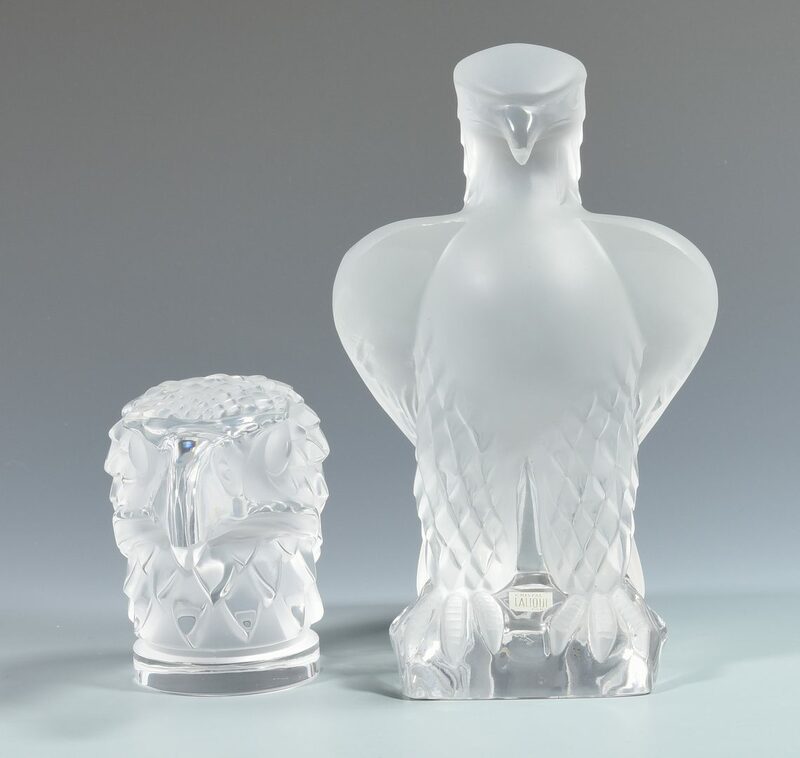 CONDITION: Both items excellent condition.